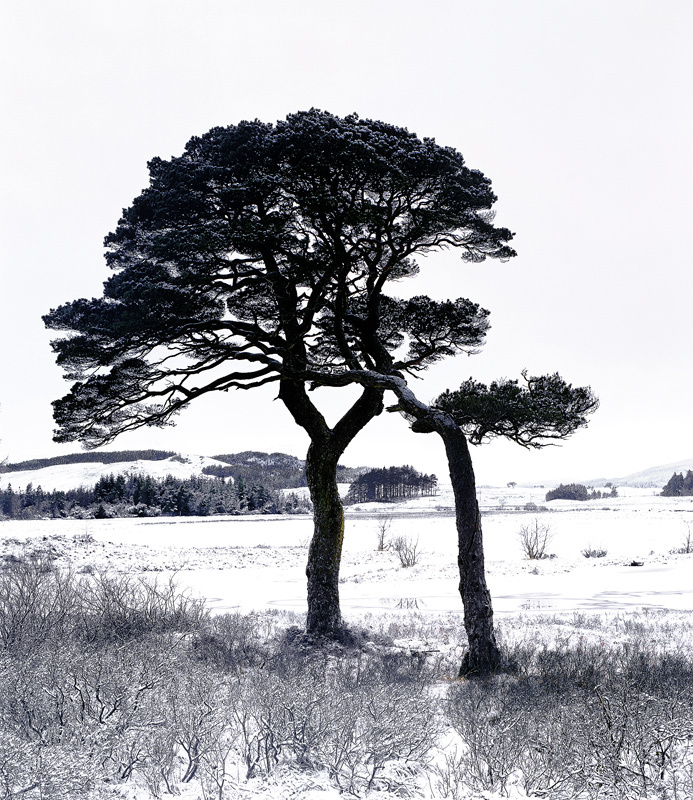 Two Scots Pine lean on each other for support in the harsh winter landscape. Despite the large fracture through the trunk of the right hand tree. thus far the other tree seems to have supported it's weaker sibling through rain, snow, hail, ice and wind.